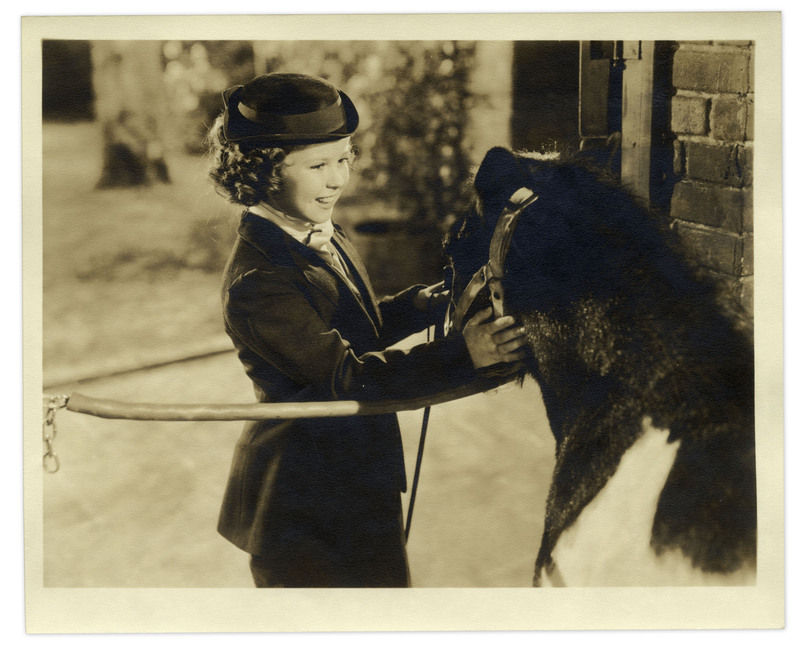 Shirley Temple screen-worn costume, worn as ''Sara Crewe'' in the 1939 film ''The Little Princess''. 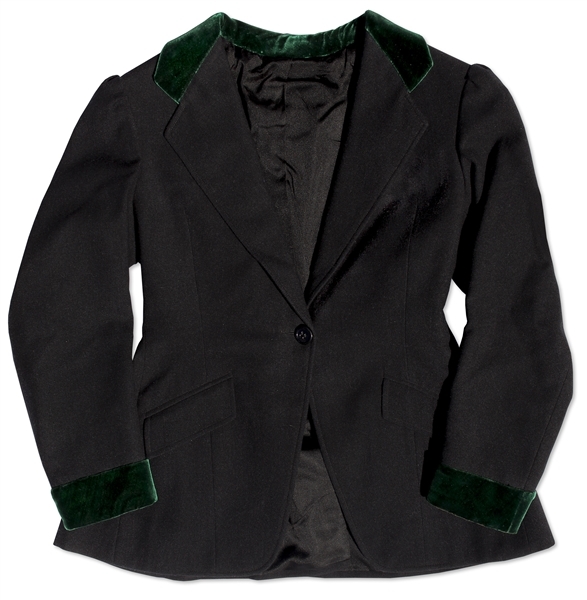 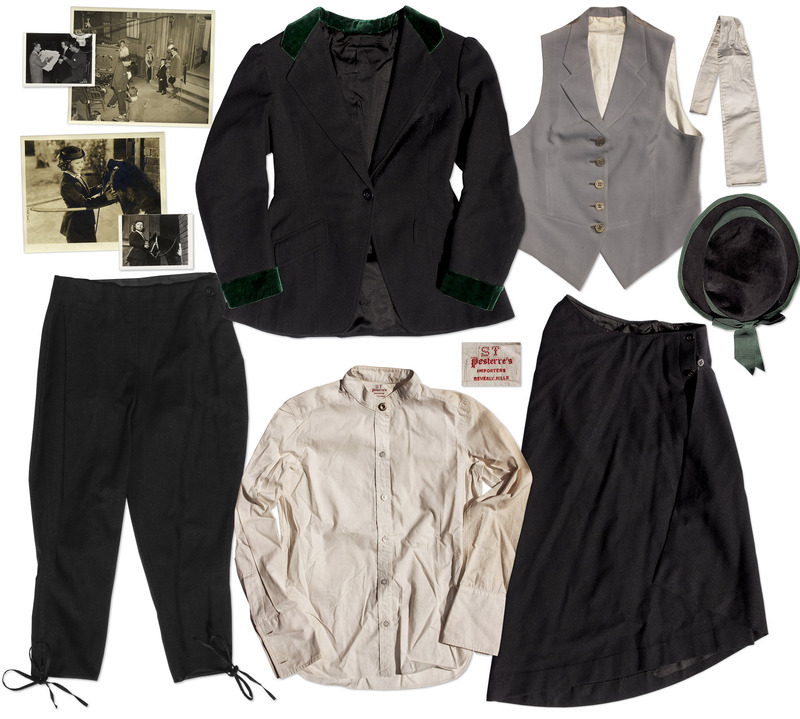 7 piece outfit consists of jacket, vest, shirt, bowtie, pants, skirt and hat: (1) Black wool jacket has mint green velvet collar and sleeve ends with one button and 2 pockets. Measures 14'' across the shoulders with 14'' sleeves; (2) Grey vest has lapels and 5 buttons. 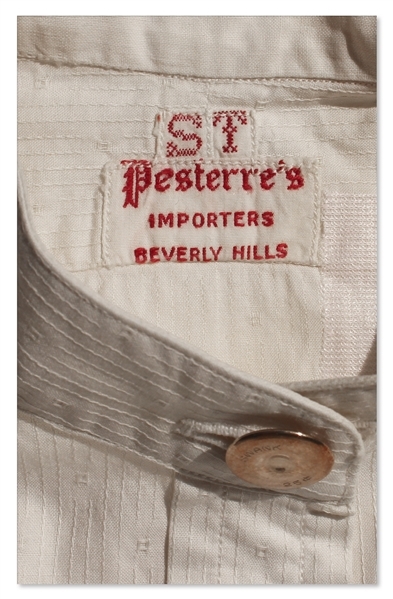 Measures 13'' from underarm to underarm; (3) Pesterre's of Beverly Hills long sleeve button front shirt has gold button at collar and ''ST'' monogrammed above tag. 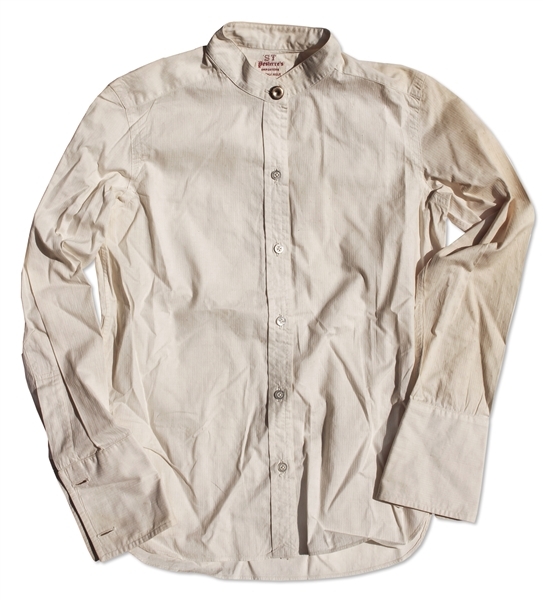 Measures 13'' across the shoulders with 15'' sleeves; (4) Creme white bowtie scarf measures 58'' in overall length. Some color fading; (5) Black wool pants with 4 buttons on left hip and adjustable ribbons at ankles. 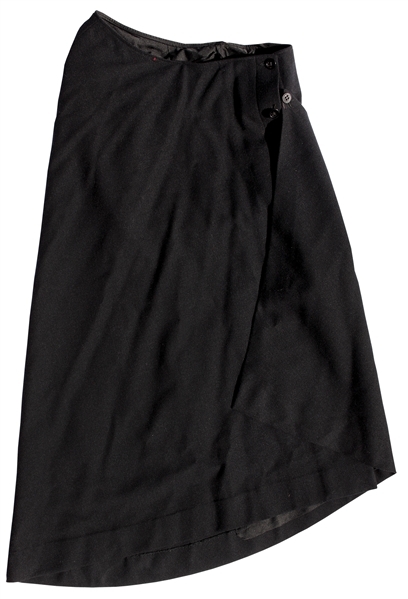 Measure 24'' around the waist with 17'' inseam; (6) Black skirt with angled button closure to hide slit. 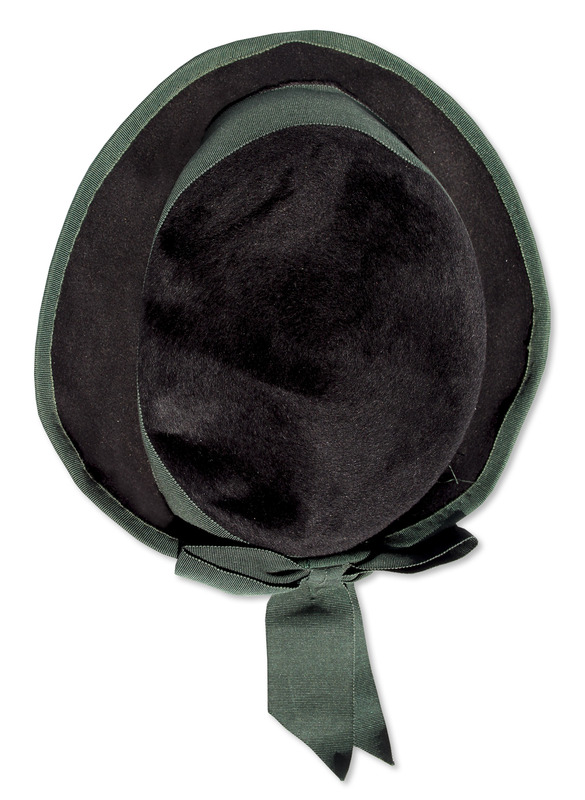 Measures 26'' in overall length; (7) Black velvet hat with mint green grosgrain bow and mint green lining. 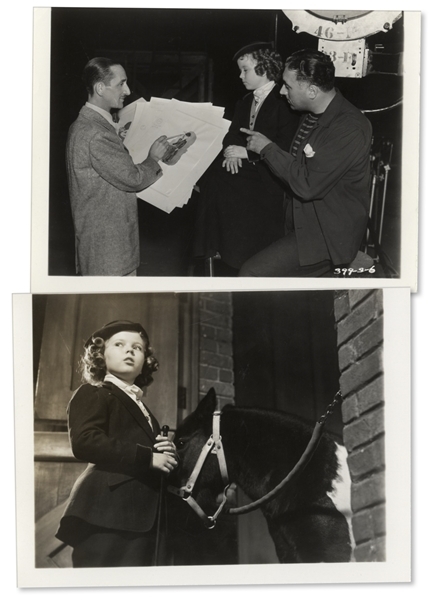 Comes with 4 vintage photographs of Shirley wearing the costume. 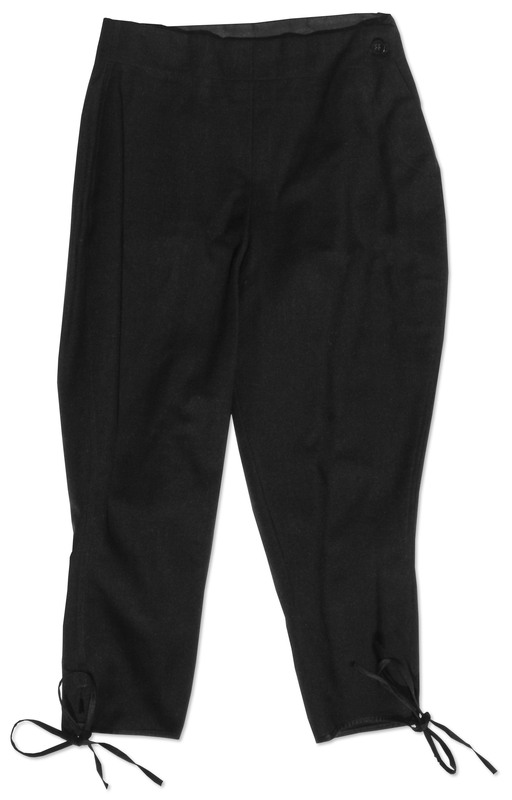 Overall near fine condition. 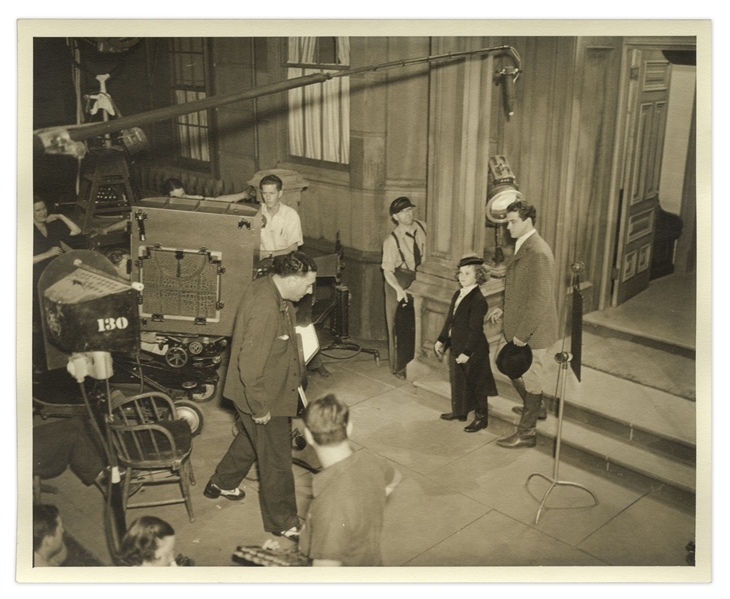 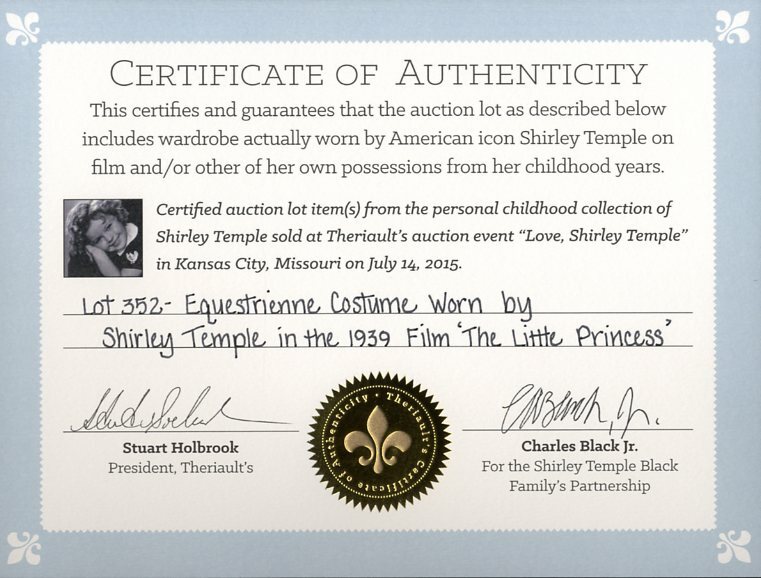 With a COA signed by the Shirley Temple estate.